I only feed the kibble and several flavor variety's of FROMM, and not canned dog foods as its my opinion that canned foods put too much weight on dogs too easily and does not help to keep tartar from forming on teeth. I also like Candida kibble food.. and fed this to Jasmin for the first year of growth. Yes these are more expensive but you get what you pay for. Jasmin also gets plenty of vegetables, cooked sweet potato or yam being her favorite with green beans, and carrot. The occasional hard boiled egg is included with cooked meats her favorite being chicken liver. As you can see she has a GORGEOUS full length show coat that takes only twenty minutes a day to comb and brush. She is in excellent condition with no health issues. HI..well guess what..I have switched what I now feed after transitioning slowly to TRUDOG BEEF FEED ME...its 99percent pure beef from U.S.A grass fed beef and freeze dried with meat, the organs, and even finally ground beef bone. The perfect food never been recalled and voted the best in 2017...expensive to say the least but worth every penny...made mostly for the smaller breeds because of the cost but you also feed less. My 16lb Shih Tzu gets 2/3 cup...or less If I add some veggie content or meat myself...the total cost per month for what she needs is $78 but when you divide that into four weeks its less than $20 a week...and you cant find better food...that cost is for 2 1/2lbs...check it out and read the ingredients...best product currently around...for teeth I purchase USA beef knee knuckle bones hard and big enuf she cant splinter it and cause internal issues...she gnaws on that a couple months then I just refreshen it with a new one and her teeth are SNOW WHITE. So I hope this gets posted as I no longer use FROMM...and while transitioning she would pick around the FROMM and eat the TRUDOG BEEF FEED ME first. Good luck with your dogs never feed can food its mostly water and junk food fatteners plus coats the teeth with plaque that turns to tartar. I think you are on to something about the teeth and soft canned food. I give my boys the kibble as a balance to soft food, as well an occasional hard treat which I call mini hamburgers that we get from our local pet food store. In my opinion a homemade meal is always better than store bought food, but it isn't always possible given everyone's hectic schedules these days. So feeding them a higher quality, albeit slightly more expensive food, is a good alternative. Thanks for sharing what you feed Jasmine, she is very beautiful. I feed my dog, Maggie, Fromm dog food, Surf & Turf. Maggie arrived from a rescue with inflamed skin, little fur, crusty eyes and swollen ear canals. Was told she had allergies and Prednisone would help. Now, 9 months later, her fungal infections are gone, her eyes are clear (with cyclosporine daily), her ears are normal, and her coat is a full silver and rust. No steroids, no anti-fungal baths, just Fromm kibble with a dash of stewed meat...and a visit to the lake, which she loves. I use this same food with my Malamute mix, my two Labradoodles and a dachshund mix..good stuff! 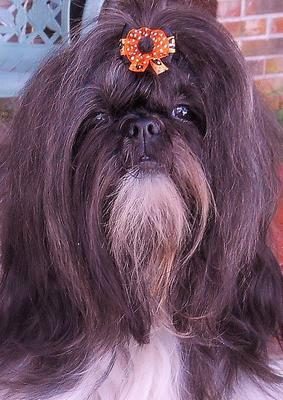 I have a Shih tzu he is a year and half . He was diagnosed with Protosystemic Shunt and had surgery recently to remove stones in his bladder. I been feeding him fromm adult small breed kibble and Fromm can food and recently some merrick can food .I also have fed him some home cooking. I am conflicted because my veterinarians want me to feed him hills science diet kd or ld and I have researched and found that many dogs with illnesses have not done well on hills science diet kd or ld. 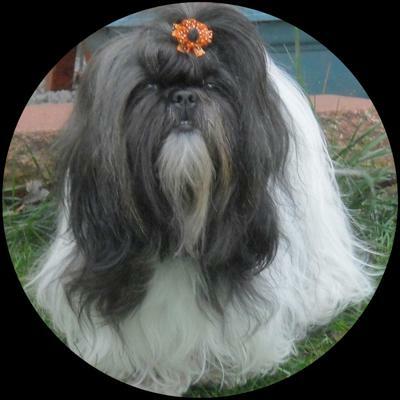 My previous Shih Tzu was on Ld due to similar but more severe issues. He did very well on it! It’s imperative to stick with a diet that does not promote bladder stones!!!! My boy tore his urinary track to pieces passing a large stone and had to have a stoma, female like opening, cut open so he could pee!! Luckily our vet recommended taking him to Cornel University Companion Animal Hospital in Ithica. Dr. Centre and their surgical team completed fixed his shunt and other issues! Long drive but it’s very affordable and the best pet care available on the planet.